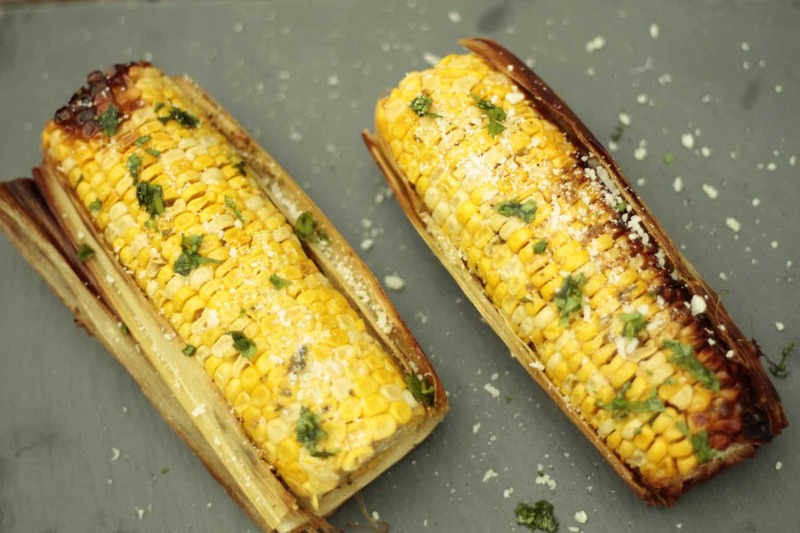 Corn on the cob is a great side dish to any meal whether its spring, summer, or fall. It’s also a really easy dish to spruce up and make your own. And when I say that it’s easy… I truly mean that it takes no time and practically no skill to elevate your corn to the next level. The key is to make a tasty sauce or marinade that will marinade your already sweet corn. Today, I’m sharing my recipe for a street corn that will wow your guests. Then mix in your parmesan cheese, cilantro, salt and pepper to the softened butter. It’s really important that your butter be softened since we’re essentially creating our own flavored butter. Now coat your corn on the cobb LIBERALLY with the butter. Eating buttery corn on the cob is the one time I don’t feel guilty about eating butter… hey it has garlic so it has to be good, right? Be sure to check on your corn periodically and turn them over every 20 minutes. You want to make sure that the corn cooks evenly on all sides. Once your corn is all done, sprinkle extra parmesan cheese and cayenne pepper.